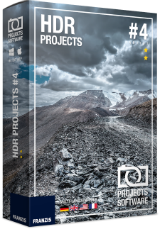 HDR projects 4 Win&Mac was available as a giveaway on May 22, 2018! How would you improve HDR projects 4 Win&Mac? The font in the menu bar needs to be enlarged. Tried several times to run the extracted installer, wouldn't run. Win 10 64 bit, turned windows defender off, but no change, gutted, really wanted to try this one. Hi, about Registration with FRANZIS..When you create Account with them - make sure you take snapshots of the whole Procedure, this way you know which email was given, copy password to notebook, see how you filled all lines in Registration boxes. If you got your email with ID number and Reg Key first time - you will get it every time. Simlple. And you don't have to know German for that (pain as it is with them) Hope that helps in future. I did not receive any email with the key for this HDR4 software. Tried thrice with 2 emails in total. Got no emails (checked spams), so unable to register. Amazing number of effects that can be applied to my photos, and I'm just starting to explore what this program can do. It was easy to install if you follow instructions. Awesome programs, all of Franzis's! This one will install in Windows XP and Vista 32 & 64 bit by the way additionally, all confirmed working! Thank you! I even bought some of this company's software. This is one of the best companies here giving away lifetime licenses. I avoid all 6 month and yearly offers anymore. This, as so many other recent software offers, has issues with registration. I have tried several browsers. I am so disappointed with the quality of the registration processes of the GOTD offers lately. I am about ready to call it quits. Quite a few hoops to jump through but to activate it but it does work. I had to change from Chrome to Edge to get the registration page to show up correctly, especially since I am already registered. That part of the form didn't show up in Chrome. Finally managed to get 'er done. Super duper easy installation. Just READ the instructions. AND stop complaining about great free software. Thanks again! First of all got a German website, not a problem as German is my first language, but as I already had an account it wouldn't let me register and wanted me to set up a new account decided too many hoops to have to jump through. I've lived this long without this software and am sure I can continue to do so. Just a few questions ... Where's the developed? Why is there no help from either the developer or GOTD on the issues being reported? Why are there always so many issues with the software GOTD offers, no other similar sites present these issues? Sorry to say it but GOTD simply isn't as good as it was, but I suppose that as long as they make money out of it they don't care about quality, it's all about the money. Hey, anyone know the trick to getting the plugin to work with Photoshop CS6. I've put it in the CS6 plugins folder, but no luck. I'd rather not use it as a standalone if I don't have to. Thanks. T., The installer should copy it to the plugin directory. I thought HDR 4 installed it as a proper filter (HDR 5 does) but HDR 3 installed it as an Export plugin (so File->Export). JohnL, I had to manually place it in the plugin directory, but PS does not see it for some reason. Problem with registration . I have already the account at the Franzis. It was apparently blocking to register this software now.. I just installed this with no problem what so ever. Reading so many comments with folks unable to figure this simple procedure out is scary.....and SAD. Victor Maze, installed it just now had no problem too. I like it. Well worth the strangled registration procedure. Email with ID and registration codes arrives in less than 2 minutes. Very easy to drive if you have basic understanding of HDR concepts. I like it. Well worth the strangled registration procedure. Email with ID and registration codes arrives in less than 2 minutes. Very easy to drive if you have basic understanding of HDR concepts. I got it right on my window PC but little problem getting the serial number for final activation,why is serial number not added? Update, I tried again with the Internet button link again after 2 hours and it finally came in as the English Version. Setup and installed, Win 7 64 with no problem. Firstly, keyboard shortcuts. There is no reason there are no shortcuts for the commonly used tools. All the brush types, as well as increasing brush size and opacity, changing brush color, preview modes, toggling images on/off, and different program modes (Raw, Edit Weights, etc.) should have shortcuts that are user assignable. True some menus have shortcuts, but in my opinion, it's inexcusable for any software at this price point not to have a full suite of shortcuts. Second, high DPI support. But I see that was addressed in later versions, so enough said. Good Job! Next, if I have my cursor over a certain area and scroll in, it should zoom into that area. Also, is there a drag tool? I apologize if there is, but I couldn't find any. I would also like to be able to hit a modifier key or MMB and have it transform into a drag tool. And have scroll bars. Also, there should be more than red green blue for paint colors. I want to be able to edit a five bracketed exposure and just toggle with QWERT (count it, it's five). No hot-swapping colors and then editing the wrong image. And then Ctrl-Z appears not to do anything. Do I need to save a state to undo? And where's the reset button for both an individual image, as well as the whole project? Do I really need to load in the images and apply the initial processing again just to start over? All around a wonderful piece of software, just have a few qualms about the UI. Keep up the great work! I'm not sure what improvements were implemented in the later versions of the software, but here are some things that I think can be improved in this version: Firstly, keyboard shortcuts. There is no reason there are no shortcuts for the commonly used tools. All the brush types, as well as increasing brush size and opacity, changing brush color, preview modes, toggling images on/off, and different program modes (Raw, Edit Weights, etc.) should have shortcuts that are user assignable. True some menus have shortcuts, but in my opinion, it's inexcusable for any software at this price point not to have a full suite of shortcuts. Second, high DPI support. But I see that was addressed in later versions, so enough said. Good Job! Next, if I have my cursor over a certain area and scroll in, it should zoom into that area. Also, is there a drag tool? I apologize if there is, but I couldn't find any. I would also like to be able to hit a modifier key or MMB and have it transform into a drag tool. And have scroll bars. Also, there should be more than red green blue for paint colors. I want to be able to edit a five bracketed exposure and just toggle with QWERT (count it, it's five). No hot-swapping colors and then editing the wrong image. And then Ctrl-Z appears not to do anything. Do I need to save a state to undo? And where's the reset button for both an individual image, as well as the whole project? Do I really need to load in the images and apply the initial processing again just to start over? All around a wonderful piece of software, just have a few qualms about the UI. Keep up the great work! Correction, there is a restore button. #1. Registration comes up in German, not English. #2. Because It's not in English what I signed up for and the link I received is for the newsletter subscription. I clicked on Internet like I read and this is what appeared for me to sign up for in German, I was guessing as to what I was registering for. Can't set up and account to be sent to my inbox so I can register my giveaway download for the day. #1. Registration comes up in German, not English. #2. Because It's not in English what I signed up for and the link I received is for the newsletter subscription. I clicked on Internet like I read and this is what appeared for me to sign up for in German, I was guessing as to what I was registering for. Can't set up and account to be sent to my inbox so I can register my giveaway download for the day. Charles M McGuire, I've got the same experience with this website. Bella, I had a problem with the code being accepted, too. I had to stop installation and start over. The second time, it took. Well I got it to register, but the setup app never installed the program. This is not fun. T., Most likely your antivirus prevented the GOTD packager from working properly. Disable temporarily, then reenable after installing. where do I find the serial number it's asking for? Tried 3 times. Wouldn’t take me to the site after hitting internet. Oh well. I’m done. The page loading very very slowly. Then, aftrer minutes, the registration form ask me for email and password.. so first I have to create an account on franzis? This is not clear. Otherwise, I registered on the site, I entered the correct data but it gives me error: the entered password is invalid. I also tried to recover the password but it never arrived. From previous experience, you do have to create an account first on Franzis, which should all happen via that link - but as you say - it simply isn't working, even for those of us who have an account already from previous giveaways. The entered password is invalid. Please try again. * You do not want to sign up for the free newsletter? Then you can buy the product at the regular retail price. Important note: Some e-mail providers consider automated e-mails as SPAM. For this reason, it may be that your e-mail with your user ID in the folder "spam suspected" of your e-mail system lands. If you do not receive your user ID within a maximum of 5 minutes, then please look in the "Suspected Spam" folder of your e-mail system to see if it has landed there. Thank you for your understanding. I already had an account at Franzis but it didn't like that, so setup a new account - fine but every time I go to tray and get the activation code it doesn't let me "get past free unlock code" page Keep getting The entered password is invalid. Please try again. and * You do not want to sign up for the free newsletter? Then you can buy the product at the regular retail price. Important note: Some e-mail providers consider automated e-mails as SPAM. For this reason, it may be that your e-mail with your user ID in the folder "spam suspected" of your e-mail system lands. If you do not receive your user ID within a maximum of 5 minutes, then please look in the "Suspected Spam" folder of your e-mail system to see if it has landed there. Thank you for your understanding. Finally, activation successful! Thank you FRANZIS, my faith in you is restored. Normally, it's great software from FRANZIS but this won't activate after entering the code. jan, I could not connect to their site. Like the last couple of commenters, I can't pull up the registration page - it is giving me a 500 error no matter what browser I use. Hopefully Franzis fixes this soon (500 is server side). I will try again later. When trying to register will not go to Franzis website. This is a first for me as Franzis is normally very good. I see that Ashampoo are doing HDR projects 5 for £14.20. If this will not load I may try this. When trying to register will not go to Franzis website. This is a first for me as Franzis is normally very good. I see that Ashampoo are doing HDR projects 5 for £14.20. If this will not load I may try this. The registration page does not pull up for me. Set a different browser as your default and try again. [ Ken A ], Set a different browser as your default and try again. .
thanks, Peter Blaise, I tried chrome and windows explorer - did not work on either. Eventually managed to get the email (after repeating my previous actions) but when I enter the info provided the set up process does not start. Not impressed and will be deleting the account I had to set up!!!! Disappointing as it isn't often you get anything free for Mac. Should have known better! Have been trying for over an hour to 'connect', using the "Internet" button on the registration form. When I finally do get a response, I get HTTP 500 and an all German language page? Have been trying for over an hour to 'connect', using the "Internet" button on the registration form. When I finally do get a response, I get HTTP 500 and an all German language page? I've now been waiting hours for the confirmation e-mail that will allow me to enter password etc to allow installation! Tried everthing I can think of, but no e-mail arrives. Not overly surprised as queries re other Franzis products that I have installed have often taken days to be responded to. Such slowness is of little use though when you only have a limited time to complete installation! I've now been waiting hours for the confirmation e-mail that will allow me to enter password etc to allow installation! Tried everthing I can think of, but no e-mail arrives. Not overly surprised as queries re other Franzis products that I have installed have often taken days to be responded to. Such slowness is of little use though when you only have a limited time to complete installation! Hi. I can't open your page or can't download Softs from your link. When I use VPN it open a page with error. Please help me. I use Mozilla Firefox 57 for Android. More than an hour here too, and no registration e-mail. Update, arrived by now, all seems well. Thank you. Franzis sells some very good software -- pretty much the only complaints I've ever read in reviews & such is that the brand tends to be a bit harder to use &/or require a bit more learning than average. Whether their HDR Projects is for you depends mostly on whether you're after realism or not. If not, if you just want to create more dramatic images, HDR Projects is likely for you, whether you want to do HDR or not -- it can apply its FX with or without the HDR part. There's Lots of advertising hype promoting a more stylistic image, with exaggerated colors &/or FX, for both UHD video & HDR photography or images. And like all advertising hype, it's not necessarily accurate -- 1) you can use the same sort of FX without the UHD or HDR parts, & 2), UHD & HDR really mean that you have more data to work with, so that you can show a wider gamut or more full range of colors, closer to what we see with our eyes. And since regular video & photos are pretty good at that all ready, the difference with UHD & HDR can be pretty subtle. Which in a nutshell is why there's all this hype in the 1st place, to convince you to spend your money. To do HDR photography you take 2 or more photos with your camera at different exposure settings, e.g. overexposed to capture more shadow detail, underexposed to get highlights that aren't blown out. Software then 1st aligns, then combines the images. If you've got RAW images, Adobe Lightroom is the only software [AFAIK] that takes them & saves the result in their open .dng RAW format, so you can continue to work with the maximum amount of data, but it doesn't do anything fancy -- the only settings are for ghosting [where parts of the resultant image don't work out right]. HDR Projects OTOH has a ton of controls, plus loads of presets so you don't get bogged down trying to use all those controls, but when you're done you're no longer working with RAW images. If you're not using RAW images, HDR Projects is more likely the software you'd prefer & use -- you just have to ignore all the fancy stuff if you're after realism. The current top-of-the-line is HDR Projects 2018 Pro -- in between you have HDR Projects 4 Pro, 5 Pro & Std., & 2018 Std. If you get their emails Franzis offers sale pricing from time to time, & their upgrade policy is pretty liberal in my experience, which also gets you reduced pricing. Installing HDR Projects has minimal impact on Windows, and a relatively small footprint on disk. Franzis software is also reliable [haven't ever seen it crash], and hasn't complained when I've installed it in both win10 & win7 on this PC using the same numbers, both with giveaways & apps I've paid for. I do tend to put their plug-ins in the app's folder, using shortcuts to those plugins in image editing software's plug-in folder. Franzis sells some very good software -- pretty much the only complaints I've ever read in reviews & such is that the brand tends to be a bit harder to use &/or require a bit more learning than average. 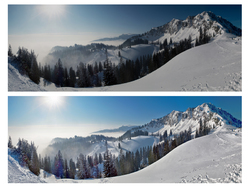 Whether their HDR Projects is for you depends mostly on whether you're after realism or not. If not, if you just want to create more dramatic images, HDR Projects is likely for you, whether you want to do HDR or not -- it can apply its FX with or without the HDR part. There's Lots of advertising hype promoting a more stylistic image, with exaggerated colors &/or FX, for both UHD video & HDR photography or images. And like all advertising hype, it's not necessarily accurate -- 1) you can use the same sort of FX without the UHD or HDR parts, & 2), UHD & HDR really mean that you have more data to work with, so that you can show a wider gamut or more full range of colors, closer to what we see with our eyes. And since regular video & photos are pretty good at that all ready, the difference with UHD & HDR can be pretty subtle. Which in a nutshell is why there's all this hype in the 1st place, to convince you to spend your money. The exception, where HDR photography can make a big difference, is when you're trying to capture an image of a scene with poor lighting that you either can't control, or where you want to use only natural lighting. 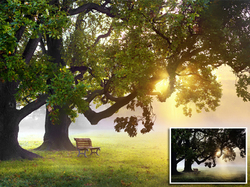 You can see a couple of great examples here: photoshopcafe[. ]com/tutorials/HDR_ps/hdr-ps.htm To do HDR photography you take 2 or more photos with your camera at different exposure settings, e.g. overexposed to capture more shadow detail, underexposed to get highlights that aren't blown out. Software then 1st aligns, then combines the images. If you've got RAW images, Adobe Lightroom is the only software [AFAIK] that takes them & saves the result in their open .dng RAW format, so you can continue to work with the maximum amount of data, but it doesn't do anything fancy -- the only settings are for ghosting [where parts of the resultant image don't work out right]. HDR Projects OTOH has a ton of controls, plus loads of presets so you don't get bogged down trying to use all those controls, but when you're done you're no longer working with RAW images. If you're not using RAW images, HDR Projects is more likely the software you'd prefer & use -- you just have to ignore all the fancy stuff if you're after realism. The current top-of-the-line is HDR Projects 2018 Pro -- in between you have HDR Projects 4 Pro, 5 Pro & Std., & 2018 Std. If you get their emails Franzis offers sale pricing from time to time, & their upgrade policy is pretty liberal in my experience, which also gets you reduced pricing. Installing HDR Projects has minimal impact on Windows, and a relatively small footprint on disk. Franzis software is also reliable [haven't ever seen it crash], and hasn't complained when I've installed it in both win10 & win7 on this PC using the same numbers, both with giveaways & apps I've paid for. I do tend to put their plug-ins in the app's folder, using shortcuts to those plugins in image editing software's plug-in folder. With Win10 64bit, tried this software out and it's worth keeping. Use the registration code as the serial number, as instructed in their email, and it activates without a problem. Used it on a recent picture and the difference was considerable. The clarity and color was much better and there are so many options you will find just what you're looking for. This is a keeper. Already have registered in the past with Franzis. Entered my details and logged in. Was informed e-mail with registrations codes had been sent. Over one hour later no registration email and it is not in the 'Junk' or any other folder. This has happened with other Franzis GAOD programs in the past. I suspect existing registrations are ignored and the offers are a means to expanding the e-mail lists. Very sharp practice. I will be unable to chase this up with Franzis in 'office hours' tomorrow as the time limit will have passed for installation. Very sharp practice on their part. Email servers all have spam filtering -- if they didn't, you wouldn't be able to find your legit email in the mountains of spam you'd receive. That spam filtering is not by any means equal -- whatever email server you're using apparently doesn't like emails sent from Franzis. The easiest solution is to simply use another email service, which means a different email server, different spam filtering/blocking etc. Personally I've never had a Franzis email not show up in minutes. Catowner , Email servers all have spam filtering -- if they didn't, you wouldn't be able to find your legit email in the mountains of spam you'd receive. That spam filtering is not by any means equal -- whatever email server you're using apparently doesn't like emails sent from Franzis. The easiest solution is to simply use another email service, which means a different email server, different spam filtering/blocking etc. Personally I've never had a Franzis email not show up in minutes. Hi Mike, that's not it as the spam filter allows through the normal e-mails from Franzis. Many thanks for your your response though. mike, i still use, only "Windows Live Mail" of 2009. And still works perfectly. "Additional plug-in is required to show all the media on this page". I NEVER install missing plug-ins. mike, i still use, only "Windows Live Mail" of 2009. And still works perfectly. "Additional plug-in is required to show all the media on this page". I NEVER install missing plug-ins. #7 ... You do not need photoshop, elements or adobe premier or similar. It works as stand alone proggramme. Just given it quick try, seems to work well. To get full benefit i think it needs some study, but that's true of much software. #7 ... You do not need photoshop, elements or adobe premier or similar. It works as stand alone proggramme. Just given it quick try, seems to work well. To get full benefit i think it needs some study, but that's true of much software. As a long time user of HDR Projects, (Version 2 through version 5), I can report without reservation that this is worthwhile and useful program for those interested in HDR photography. Does anyone know what version number this is? Nick, I'll take a guess and say #4.
. [ Nick ], v4.41.02511 . 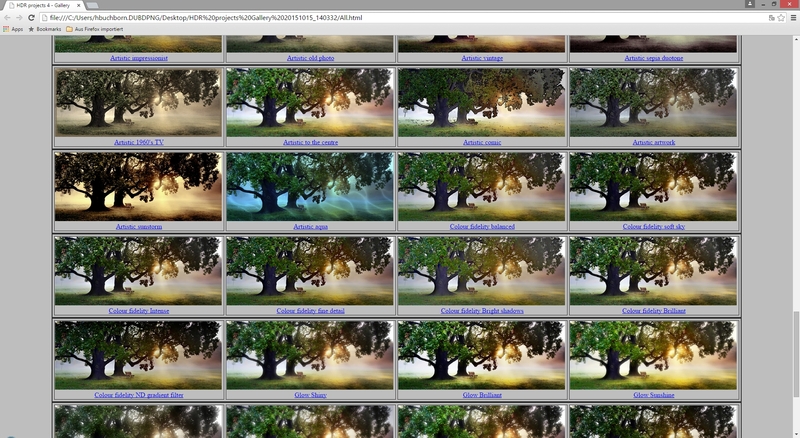 Kurt, I have a previous giveaway from Feb and the version was HDR projects 4 - V4.41.02511. I was trying to see if this was the same exact version. Installed flawlessly, after jumping through the hoops and blowing all the whistles. For the download you must agree to receiving 'special' offers from them and all their partner groups... the price of admission folks. The program did not 'uninstall' previous versions, I had to go to the control panel and do that myself. If you can read, you can follow the download instructions. If you can't read or are too lazy to bother, then this software won't help you anyway, because there is a learning curve that will have you weeping uncontrollably, rocking back and forth in a corner somewhere. It seems to do what the previous version did, but did not act as a PS plug-in, although I chose that option at install. 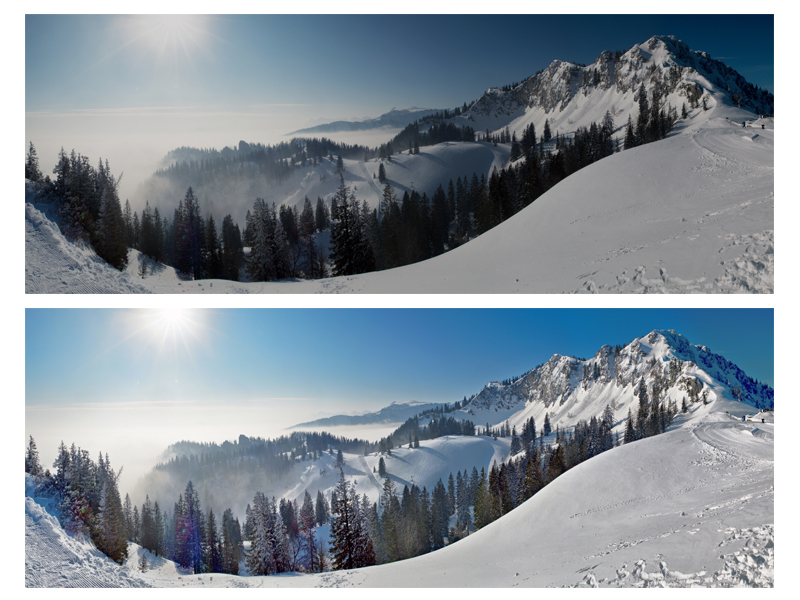 I have HDR available through PS itself, ON1 and NIK but it's always interesting to compare results. Registration was very likely one of the easiest I've ever come across...an absolute BREEZE! The program itself seems to have undergone significant modifications since my last encounter...but that could be just my impression, as for using it...VERY nicely done, anybody who has used Photomatix pro will feel very at home, the interface while obviously not the same has a very familiar 'feel' to it. The program is easy to use and the results can be stunning depending on the image choice and the settings you use. Many thanks...this one is a keeper! For those having trouble registering this program: you must re-enter your registration code after installation. I tinkered with this for a few minutes. It seems like a very useful and interesting piece of software. I do a lot of video slide shows (youtube), and this will come in handy. Hmmm. Downloaded and installed flawlessly. Windows 10-64bit. Registered, program came up perfectly. Wanted to test - ALAS - it will not access any of my external drives (NAS). I can access NAS units with all of my other programs, lightroom, photoshop, or just file explorer, but when I want to open a photo in HDR projects 4, those directories do not appear for selection, only "local" drives like the extra internal drives, and my SD or thumb drives. This is not practical for me, because all of my photos reside on mapped external drives and backups. Ugh. I haven't seen this in awhile, any quick ideas... anyone? Thanks! This is pretty decent software...had a version some time ago and am happy to see it here. The downloading and set up of this giveaway is very simple AS LONG AS YOU FOLLOW THE README INSTRUCTIONS. Yes, it's more complex than some but I had it all done in 10 minutes. I'm using Windows 7, 64 bit and the extracted HDR projects 4 .exe file will not install. Tried several downloads with same result. I have 10 programs from this author that are working fine but this won't install at the moment. Please advise as to what could be the issue. Same problem here. Won't install.... Giving a couple different errors, this one being the last. 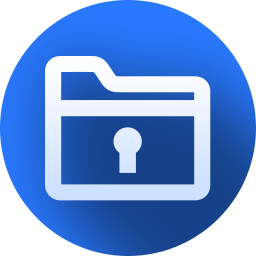 Files that help describe the problem: C:\Users\MinoltaMan\AppData\Local\Temp\WERD938.tmp.WERInternalMetadata.xml C:\Users\MinoltaMan\AppData\Local\Temp\WERDD5E.tmp.appcompat.txt C:\Users\MinoltaMan\AppData\Local\Temp\WERDD7E.tmp.mdmp I have 10 programs from this author that are working fine but this won't install at the moment. Please advise as to what could be the issue. Robert, maybe a cleanup of Windows will help. Explorer will open with the Temp. If possible delete all the files. Robert, I'm using windows 7, 64 bit as well...it extracted first time and installed very easily, registration was a breeze. Not sure what went wrong with your installation, maybe try downloading it again in case the file was corrupted? Just a guess, but security software increasingly blocks any changes to the user folders as a way to [hopefully] block ransomware. And security software may or may not notify you that it's blocked anything. In Bitdefender & McAfee I very often have to turn off that protection to install or update software. Robert, Just a guess, but security software increasingly blocks any changes to the user folders as a way to [hopefully] block ransomware. And security software may or may not notify you that it's blocked anything. In Bitdefender & McAfee I very often have to turn off that protection to install or update software.